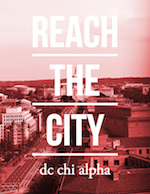 A brief interview answering some questions about Reach the City. Becca Pugh, former AU Chi Alpha staff member interviews Blane Young, Director of Chi Alpha Campus Ministries at American University. Becca Pugh: "Hey, I'm here with Blane Young, Director of AU Chi Alpha." Blane Young: "Yeah- hey, what's up everyone?" "Why do you do this campaign every year?" BY: "I think that's a question we get often. I'm so glad that we get to talk about it a little bit. We do this campaign every year, so that we can launch all three of the Chi Alpha ministries in the city, to be able to equip them so that they can reach as many students as possible during Welcome Weeks, or Fall Kickoff, or Fall Start. If you've heard us use those terms, they're interchangeable. It's the period from August 1st to our Fall Retreat in mid-October. Basically as new students come onto campus, whether they are transfers or med school students, or freshmen, they come onto campus - they're looking for a friend group. They're looking for a place to identify with, and belong in. So for us it's the most strategic time of the year. There are people looking to start off their new collegiate careers and their new lives outside of the home, and we want to be there to offer an alternative to the part scene, but really (more importantly) to offer a gospel-centered, Jesus-focused community where we can have fun and grow together and challenge one another, and so that's what we do every year, because every year we hope to do large events, large initiatives and programs, which would allow us to invite in hundreds of students- from preview services to glow-in-the-dark lawn games, whatever you call it- just tons of ways to connect relationally and then invite people into our community. And so every fall we start over. It's kind of like if a church plant started over, because this year on our campus at American University, we have 1,800 new freshmen moving in. And so it's kind of like if your town or community had that many new people, you'd wanna welcome them with your church, and so that's what we do. Reach the City is directly correlated to funding that every fall semester"
"Are the gifts that are going toward Reach the City directly funding Welcome Week events?" BY: "Absolutely. As you may know, or you may guess- at times, we'll receive funding from the university for certain events and initiatives, but Welcome Weeks is completely funded by donors. And so one of the things I like to say, as much as I can in front of our students, is that 'everything you see around you is a gift. Somebody sacrificed or gave so that you can have whatever you're having- whether it's a piece of pizza at a discipleship class, or it's a cup of coffee that we were able to purchase for you whenever you came back from study abroad, or it's going to one of these great events-' all of that is directly tied in. And so that's how we fund those events- donors, churches, but primarily individuals who have a heart for reaching college students, and they do so through Reach the City." "If you guys are raising money, how are you giving such sweet gifts to donors, and did people actually get bacon in the mail?" BY: "Yes! People actually did. We had two people who, once they saw the video gave a gift of $200 or more, and so with our friends at sendyourfriendsbacon.com, we're actually able to mail them bacon. So two people are getting bacon, fifteen people are getting Chi Alpha shirts. The next five online donors are getting Starbucks gift cards. So the questions is, 'wait, how are you able to do all of that?' Right? Like if you're raising money? And that's a good question. It's kind of twofold. One, it's a crowd-funded campaign, and so like Kickstarter or Indiegogo, we want to thank and reward our donors- give them not only the benefit of being part of something, but also give them something tangibly. For us, it's also slightly theological. We believe in a culture of thanksgiving and of honor, and of giving credit where it's due. And so we have a small number of funds set aside that allow us to thank people well. And I'm just passionate, not just about cultivating generosity, but also cultivating a culture of thanksgiving. So we kind of have it planned that it doesn't take away from our ministry efforts, but we actually believe it's an investment. As we thank people well, they might even consider continuing to give. And that's what we've seen over the years. 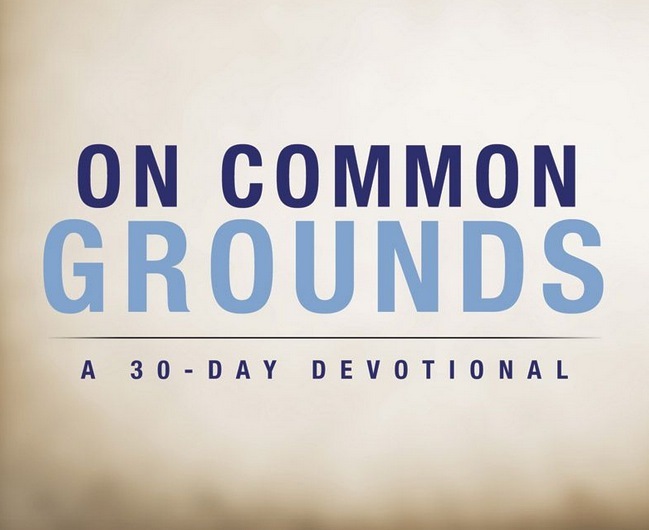 "If I'm already investing in a Chi Alpha Missionary, what's the value in giving to this too?" BY: "Yeah, that's a good question. All of our Chi Alpha staff, as you may or may not know, support-raise their income and their work budgets. Um, this is part of kind of how we work as an organization, top-down. So if you're already supporting a Chi Alpha missionary on a monthly basis- first of all, I want to thank you. Your investment is what allows Chi Alpha staff to live close to campus, to be in proximity to be investing in students, and to be able to do so full-time. And so, I'm so grateful for people that do it part-time or by vocation; there are volunteers even at our own campus. But I think that to really reach students, to be in close relationship with those that are far from God - it takes a concerted effort. That's where the full-time missionary comes in, and you're making it possible by giving on a monthly basis. Well one- we don't ever want anyone to feel like they're giving out of guilt. Scripture is so clear that God loves the idea of a cheerful giver. And so we just want to extend another opportunity for you to invest and make a difference in a slightly different pocket of our ministry; in a slightly different area. Because as you probably know, you give monthly to a missionary, that provides for them to live near campus and to work, but it doesn't go to funding our events. So, one time I had a wonderful supporter as me 'Hey, how much pizza does my monthly support provide for your ministry?' And I was like, 'Oh, it provides none. I'm so sorry. Your gift provides for my family, it provides for us to work and to focus.' And I think there's a theological precedence for that, but this really is another opportunity for you to directly impact students. And so as we cast our nets wide, you're helping us build those nets to reach those students. So I wouldn't say you have to give. I wouldn't want to give out of guilt. I would just say hey, if you're interested in giving in kind of this different area, to consider it. 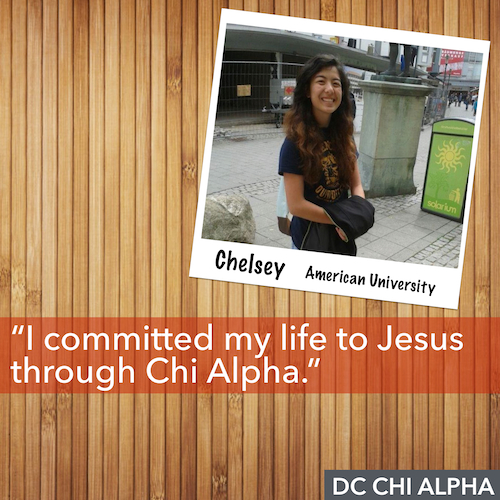 But if you're already giving monthly to a Chi Alpha missionary, man that's awesome. You are doing so much, and I'm o grateful for you. "How does giving financially to these events during Welcome Weeks translate into relationship?" BY: "If you're around Chi Alpha at all, I hope that you realize that we're a relational, discipleship, pure mentoring, one-on-one, small groups ministry. Put that on a t-shirt, right? Um, how do these big, large-scale events (free ice cream, glow-in-the-dark lawn games, cereal and board games, taking international students to a baseball game, hosting a lunch for medical school students)- how does that translate into ministry? So for us it's not an agenda, it's just what we believe God's called us to- to love people, to welcome them, and we also want to be- not just a counseling center, although we do want to provide biblical counseling, as we see in the book of Proverbs- but we want to provide a place for people to belong before they believe, before they behave, before they become and I'll say that again. We want to provide a place for people to belong before they believe, before they behave, before they become. So I think a lot of times in our excitement to get people to meet Jesus, we forget that they first need to meet us. That's what these events do. That's what Chi Alpha, christo apostoli means- it means that we are Christ's ambassadors. We are in His place so that He would make His appeal through us, as that verse says in Paul's writings in letters to the church in Corinth. I think I would say we hope that it's a starting point- that our small groups are full, that we're able to have coffee with students, but we're kind of tossing it out wide, with those large events, and then start building relationships there. So yeah, our goal isn't to gather a lot of people. Our goal is to build people. But we have to gather a few first, so that's how that kind of translates into that."